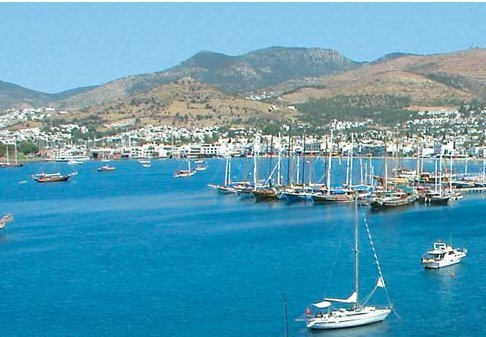 Turkey has a rich culture, fascinating history, beautiful countryside and of course, stunning coastlines. Renting a holiday villa in Turkey will allow you to take advantage of all that this country has to offer. There are a good selection of villas available on the beautiful Aegean and Mediterranean Coasts; both offering some of the best beaches in Turkey as well as busy resorts. You can head inland to visit the hideaway mountain villages which have a traditional way of life which is interesting to see on your villa holiday in Turkey. The villas below are all indeed in Turkey, all the villas are listed here - in order of the amount of people they sleep. For those looking for a smaller holiday villa, you'll find these at the top. With the larger holiday villas being further down the page. You can also find villas in France, Italy, Spain, Portugal, Egypt, Cyprus, Croatia, Malta & Gozo, Greece, United States and Morocco.